The Ironman IFT 1000 and Ironman IFT 4000 Infrared Therapy Inversion Tables incorporate advanced F.I.R (Far Infrared Therapy) heat therapy technology. Combining heat therapy with inverting gives added benefit to help reduce back pain, relax muscles, improve flexibility, increase blood circulation, and decrease stress levels. 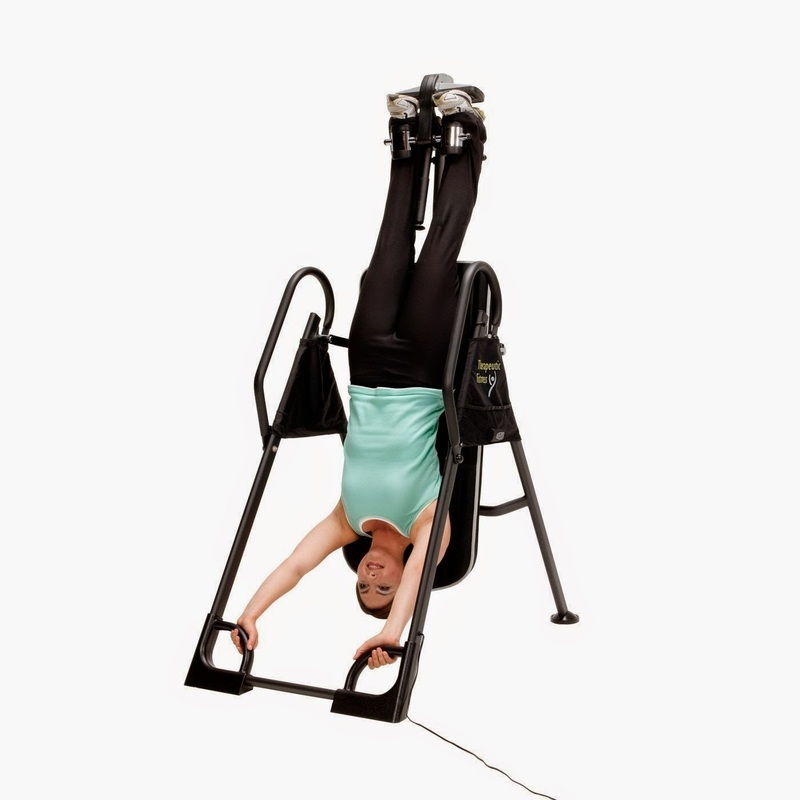 Both the Ironman IFT 1000 and IFT 4000 Inversion Tables invert up to a full 180 degrees, helping to stretch out the spine and relieve pressure on discs and ligaments. See my article “Benefits of Inversion Tables for Back Pain Relief” to see how inversion tables work and the health and therapeutic benefits they can bring. Both the Ironman IFT 1000 and IFT 4000 utilize ultra-thin built-in carbon fiber heating elements that heat the backrest up to a maximum of 140 degrees warmth, which can be adjusted via a remote control. The temperature is displayed on an LED controller and can be set on a timer. Both the Ironman IFT 1000 and IFT 4000 have been safety tested by ETL and are ergonomically designed for comfort, with extra long safety handles for easy inverting. Both Ironman inversion tables are adjustable for different user heights ranging from 4ft 9” up to 6ft 6” tall. 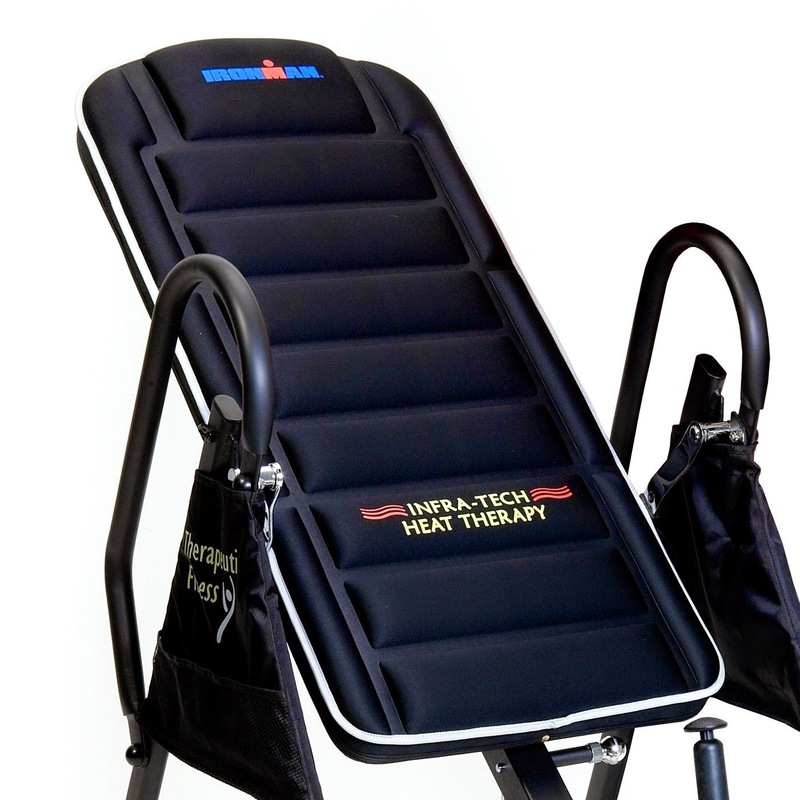 So what’s the difference between the IFT 1000 and IFT 4000 Infrared Therapy Inversion Tables? The Ironman IFT 4000 is the higher-end model over the IFT 1000 and, as you would expect, it comes with a higher price tag. So what are you getting for the extra money and is it worth paying the extra cash for? To start with, the Ironman IFT 4000 Infrared Therapy Inversion Table offers a thicker cushioned backrest – the Ironman IFT 4000 incorporates a 2.5” thick rib design heated backrest while the IFT 1000 offers only a 1” heated backrest. The Ironman IFT 4000 is also more solidly built than the IFT 1000, supporting up to 350 lb bodyweight compared to the IFT 1000’s 275 lbs capacity. The ankle locking system on these 2 Ironman inversion tables also differ, with the IFT 4000 featuring a palm-activated easy-to-reach Ratchet system while the IFT 1000 features a Spring loaded system. Both the Ironman IFT 1000 and IFT 4000 fold up for easy storage. · F.I.R (Far Infrared Therapy) heat therapy. · Ultra-thin carbon-fiber heating elements. · Heats backrest up to 140 degrees. · Heats up within 10-15 minutes. · Temperature controlled via included remote control. · LED controller/display – set temperature and timer (90-140 degrees, 0-60 minutes). · Inverts up to a full 180 degrees. · 3 starting angle adjustments. · Ergonomic design with extra long foam-covered safety handles for easy inverting. · Safety vinyl side-covers with mesh pocket for placing remote control or other small items. · Adjustable for different user heights: from 4ft 9” tall up to 6ft 6” tall. · Safety tested by ETL. · Fold up design for easy storage. You’ll love the unique combination of heat therapy and inversion therapy that the Ironman IFT 1000 and 4000 tables offer. 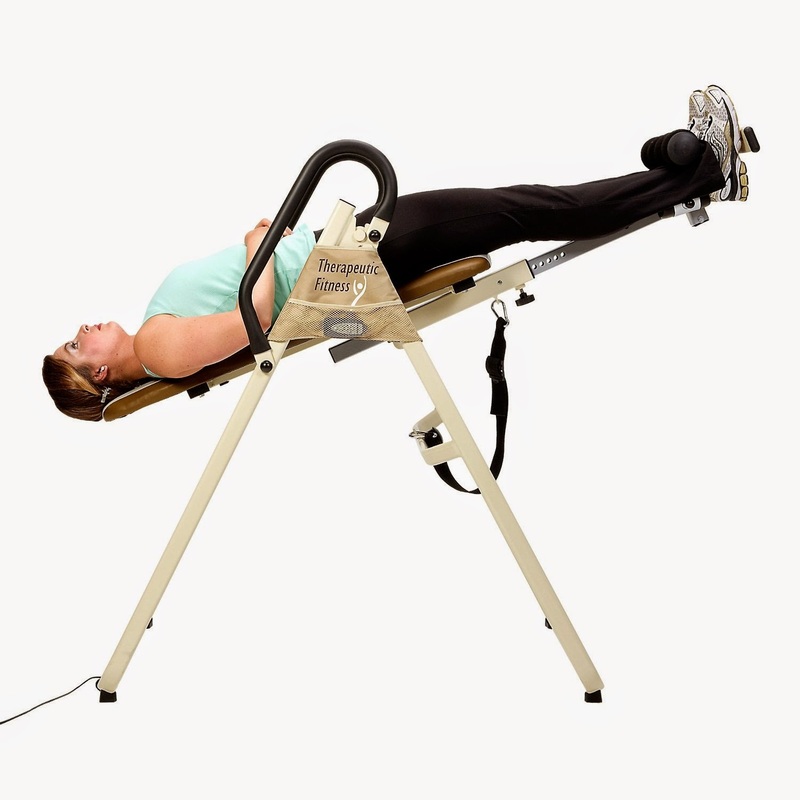 The added heat effect to the inversion table helps to relax muscles more quickly and boosts blood circulation better than traditional inversion tables. If you’re not used to inverting, then it may take time to get used to this unique experience – take it slowly and start off with just a few minutes at a reduced angle and gradually work your way up to longer periods of time and increasing the angle of inversion. 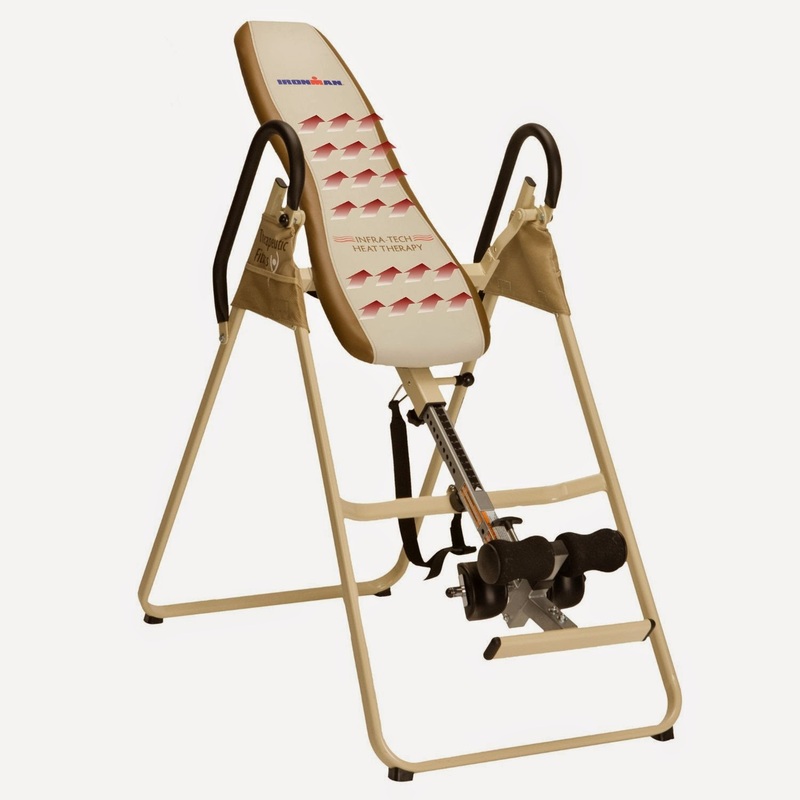 For many people, the Ironman IFT 1000 Inversion Table would be more than adequate for their needs. But if you like the idea of a little extra comfort, then the Ironman IFT 4000 with its extra padded cushioning and easier ankle locking system, is the one for you! 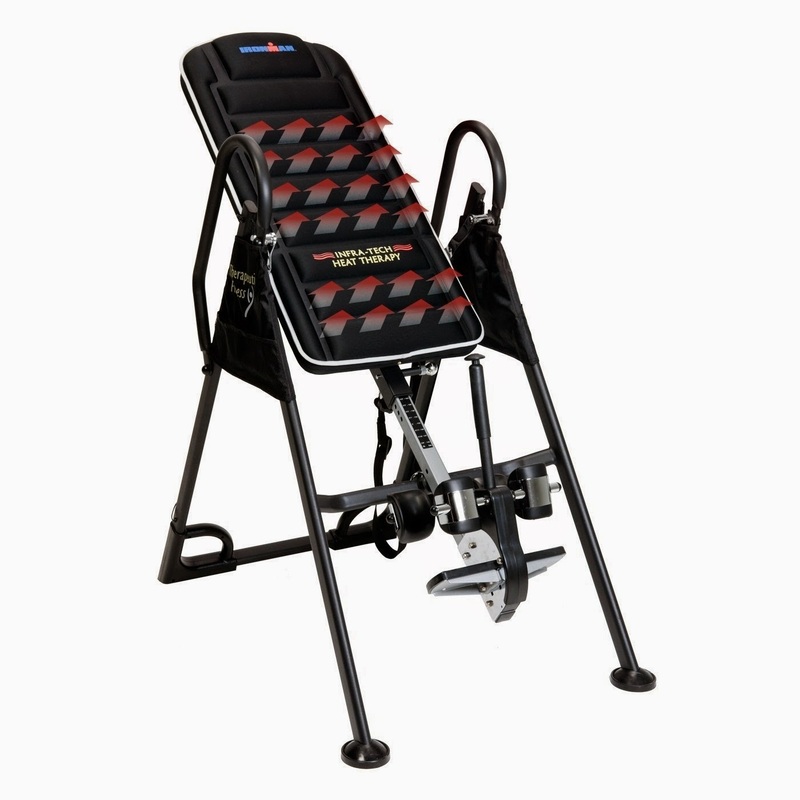 Also, choose the Ironman IFT 4000 if you need a more sturdy Inversion Table as it supports up to an extra 75 lbs. N.B. It is advisable to consult your doctor or health care professional before using an inversion table or if you have any concerns regarding back pain or any other health conditions.